Creating an email signature marketing campaign that drives conversions can be a super effective way to tap into a customer base that’s already familiar with your brand. We see hundreds of email signatures daily, so we know what works and what doesn’t. In this post, we’ll show you exactly how to create an email signature that drives huge amounts of sales, and could be the next big marketing leap in your business. An email signature on its own doesn’t have any marketing value. However, a good looking email signature design with an amazing banner could make your sales explode. Before getting started, you need to ensure your email signature is in check. Does it look good? Not sure? Ask someone outside your organization for their honest opinion. If in doubt, it’s probably not up to scratch and you should consider creating a new one for your organization. 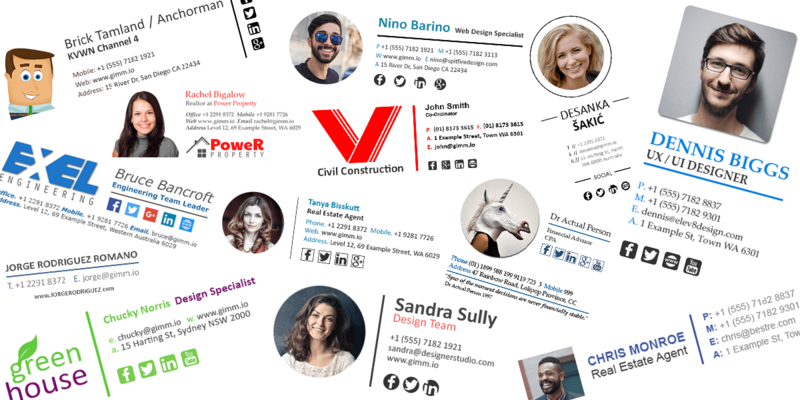 Remember, to have any chance at a successful email signature marketing campaign, you need to have a good looking email signature before attaching a banner to it. A great place to create professional email signatures for your whole team is Gimmio. There’s no point in starting an email signature marketing campaign if you don’t know what you’re marketing. By speaking to your staff – Your staff are at the front line and they speak directly with your customers. Ask them to summarize the most asked about product/service when talking to customers. Are there any trends? Looking at sales history – Take a look through your sales records to find the best selling products for any month. Then do the same for the year. Look at website analytics – Inspect your website analytics and find the most popular pages. Are they based around a specific subject? For example, if you had a popular page that was titled “How to eliminate mold using MoldBreaker” and it got thousands of visits daily, it may be an indicator that you should look at promoting “MoldBreaker”. Check answers from previous surveys – Does your business conduct customer surveys about your products? If so, you could check the answers from those surveys and that should also give you a good idea where to start. Now that you’ve narrowed down the product or service that your customers really want, you can start by setting a goal. Firstly, we’re going to assume that the goal you have in mind is a “conversion” or in layman terms, for a customer to “buy” your product. A good conversion rate for an email signature marketing campaign is around 0.25%. Meaning, 0.25% of all outgoing emails will result in a conversion that was initiated from clicking a link in your email signature. There are many variables and factors at play here such as price point of product, industry etc so it could be slightly different, but this is more to give you some idea of the conversion rate you might expect. The average user sends just over 30 emails daily. The average email open-rate for all industries is around 20%. If you have 10 staff, and each one sends around 30 emails per day, you should be able to achieve roughly 7.5 conversions every day from all those emails. Not a bad result for just adding a banner to your email signature, right? Now, let’s get to work. Use the data you collected from Step 2 to create a design for your email signature banner that your customers want to click. 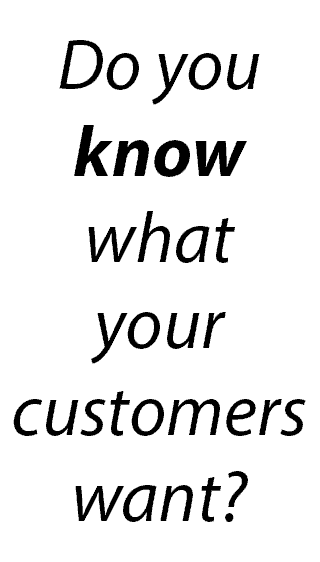 Remember, its all about finding what will resonate with your customers. You don’t need to use all 3 of the elements above, however, the highest converting banners usually have all 3 included. Use visuals, and lots of them – It’s a known fact that marketing without a visual representation of your product or service won’t yield the same results as having professionally created imagery. A great resource for stock images is Pexels. Make the images grab their attention – You’re getting spammed to death with thousands of marketing messages daily, why will they click on yours? Show off your product – Give them a taste of what your product will do to make their lives easier. If your product is visually appealing, make sure you have access to high-quality photos of it that you can use. Focus on the benefits, not the features – No one has time to read the features of a product, but they want to know how it will change their life. Instead of writing “It can clean floors”, write “It will clean your floors so you can enjoy more time in your day”. Much better, right? Create urgency – A sense of urgency makes consumers do unbelievable things. When there’s a time pressure to purchase a product at a discount, it creates an emotion called FOMO or “Fear of missing out”. Create scarcity – If something is rare, it gives the perception that it’s more valuable which can drive more sales. Exclusivity – You can easily create exclusivity in your offer by having a message that says something like “Only available to premium subscribers”. This makes customers with premium subscriptions feel like the offer is exclusively created just for them. 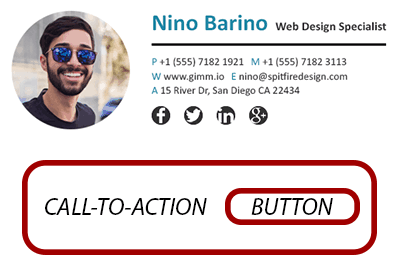 Use powerful action-oriented words – The word(s) you choose to use with your button should be based around an action, such as “Redeem this coupon”, “Buy Now” or “Add to Shopping Cart”. Simple and easy to read words only – Don’t use words which most people wouldn’t use in everyday language. For example, “Go forth” or “Concur”. Use words which are easy to read and quick to process in your mind. Use colors wisely – There’s a reason Google split tested over 40 shades of the blue on one of their buttons. Green and Blue are the safest button colors to use in your banner. The landing page is the webpage that your customer goes to when clicking the button in your email signature. It’s important to get this part right because if your landing page isn’t optimized for conversions, you could end up doing all this for nothing. Make sure the landing page loads quickly – A 1-second delay in page response can result in a 7% reduction in conversions. Use your brand colors – Use the colors that your customers are used to seeing from your brand. This invokes comfort as they are seeing something familiar. Use the same styling as your banner – It’s not a good look when you have completely different styling between your email signature banner and landing page. You don’t want your customers to think they have reached the wrong page. Make sure your fonts, buttons, shadows and everything else is the same. Less is More – Remove things like navigation menus or anything that could distract your visitors. Only include info that is needed to convert. Include social proof – Got an award for something, or been featured on a major news publication? Place it in there for your visitors to see. Use images and videos – Use plenty of images and videos in your landing page. You should also use video testimonials from previous customers who bought the same product. Adding a banner to an email signature can be tricky as you will need to know how to modify HTML code. This can be a very difficult thing to learn, so we always advise people to use an email signature generator like Gimmio for the task. If you prefer to add the banner to your signature manually, there is a good write up about it here. Using Gimmio, you’ll also be able to change banners very quickly if one doesn’t quite work as expected. It makes sense to use Gimmio if you’re serious about email signature marketing and getting results. There’s no point in doing email signature marketing if you don’t know what works, and what doesn’t. Tracking your links will show you which marketing campaign worked well, and will act as a guide for any future marketing campaigns. Setting up tracking for your links is fairly easy. Read more about tracking links in email signatures here. 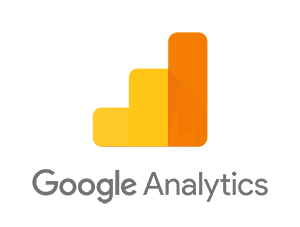 Now that you have Google Analytics click tracking set up and you’re using Gimmio to insert banners into your email signatures, after a few weeks of testing, you should be able to see direct results of how your email signature banner is performing. The worst thing in marketing is to “set and forget”. Don’t be that guy that tries 1 email signature banner design and gives up when it doesn’t work. Finding a banner that works takes a bit of time and testing. If the first banner fails miserably, try again. Your customers aren’t interested in what you’re offering – This is why Step 2 of this guide is so important. If you get it wrong, you might be wasting your time and going down a huge rabbit hole. Your offer isn’t enticing enough – If the cost of your product is $10, do you think your recipients will be tempted to purchase your product if you discount it to $9.95 for them? Obviously not. Give generous discounts and you might see more conversions. Your imagery isn’t beautiful – Notice we use the word beautiful? Your imagery should tell a story about your product and why your customers need it. Cross check the images with co-workers to see what they think. 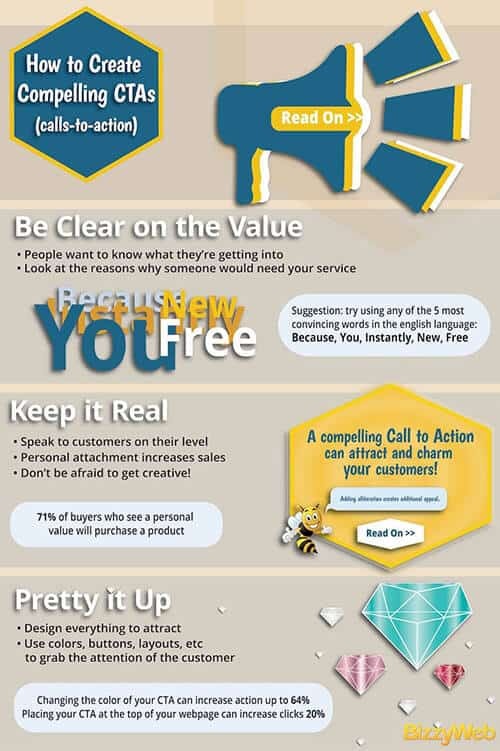 Your banner has too much text – Adding too much text can make your customers “skip” the offer. If you can’t read your CTA text in 2 seconds, it’s too long. Colors don’t match – Some colors simply don’t work well together – don’t force it. Ensure you’re using colors which match. Again, you can check this with co-workers. Adobe has a great tool you can use to find matching colors. Showing the savings as a percentage or dollar value – A CTA that says “Save 30% off your next order” sounds a lot better than “Save $2 off your next order”. As Jonah Berger quoted in his book Contagious, if your product is worth less than $100, use the percentage method, and if its over then use a dollar value. Combining 2 popular products – We’ve all heard of the “Buy 1, get 1 free” offer. We hear it often because it works! You could also sell your top 2 products as a package for a slightly cheaper price. Creating an offer with a partner business – If you have a partner business, you could create an offer that combines your product and theirs too. This way you’re both making sales and leveraging off each other’s customers. Email signature marketing campaigns are becoming increasingly popular because marketers are realizing that there’s amazing value in every single email that is sent out from your organization. If done correctly, it can be one of the top marketing channels for your company. The secret to success is to keep testing different banners, call-to-actions, buttons, landing pages, content etc to find out what works best. Remember, there’s no such thing as “not testing” when doing any form of marketing, and this method is no different.